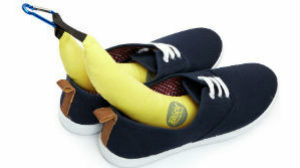 Boot Bananas are a novel and effective way to take care of those stinky cycling shoes. In essence Boot Bananas are full size banana replicas that deodorise and absorb moisture from post-ride shoes using a range of natural active ingredients including bamboo charcoal, sodium bicarbonate and zeolite. The latter is a mineral that was used to absorb radioactive caesium following the Fukushima disaster, so it�s fair to say it will cope with your bike shoes. Instructions for use almost go without saying: remove your feet from the shoes (if you need to be told this you probably shouldn�t be tackling shoes alone), stuff in the Boot Bananas and leave them to work their magic hanging from the integrated carabiner. From time to time they need to be refreshed by simply setting to dry in the sun or near a radiator; eventually they will give up the ghost entirely � the makers claim a good six months depending on use and, helpfully, they slowly change colour (or ripen) as an indicator. 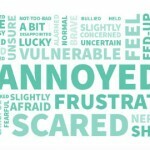 The natural fragrances used are lavender, lemon, patchouli and tea-tree oils and whilst the we had feared that lavender would leave our shoes smelling like a Sunday afternoon at nan�s, the scents are actually very well judged and not in the least overpowering. 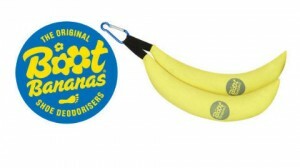 Boot Bananas are a truly useful � and fun � addition to any cyclist�s bag of tricks. �13.99 a pair Boot Bananas can be purchased online at bootbananas.com or from a range of stockists.